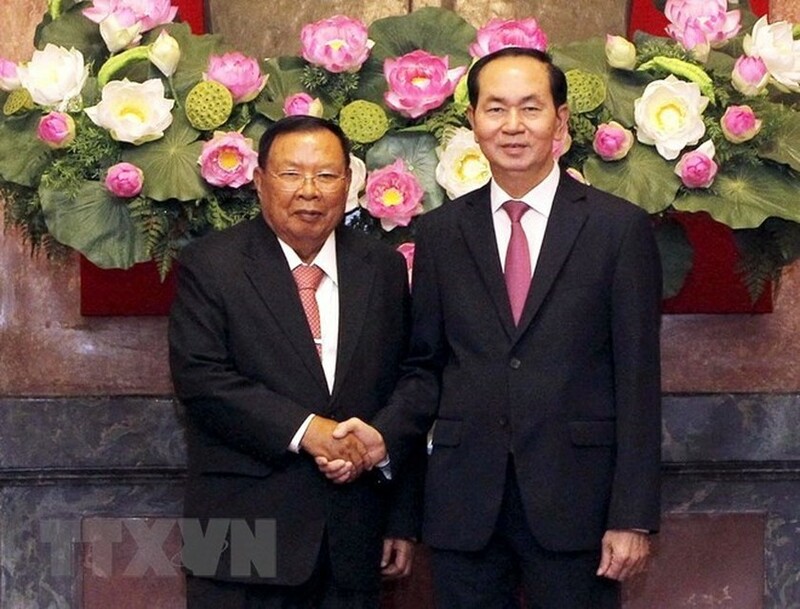 General Secretary of the Lao People’s Revolutionary Party (LPRP) and President of Laos Bounnhang Vorachith and his spouse are on a visit to Vietnam from July 3-7 at the invitation of General Secretary of the Communist Party of Vietnam (CPV) Nguyen Phu Trong and President Tran Dai Quang. 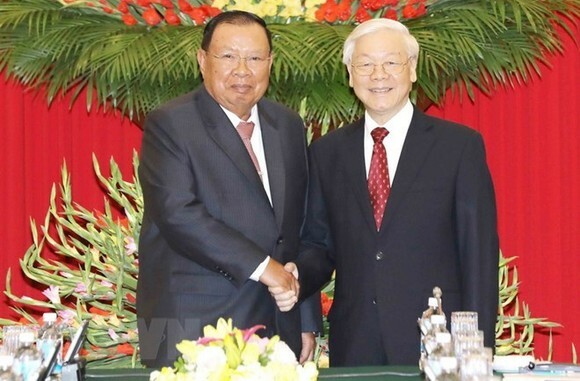 On the first day of his trip, Bounnhang Vorachith held talks with CPV General Secretary Nguyen Phu Trong as well as meetings with President Tran Dai Quang, Prime Minister Nguyen Xuan Phuc, and Chairwoman of the National Assembly Nguyen Thi Kim Ngan. At the meetings, the two sides reaffirmed and emphasised the strategic importance of the traditional friendship, special solidarity, and comprehensive cooperation between Vietnam and Laos, which have been long nurtured and strengthened by late Vietnamese President Ho Chi Minh, Lao Presidents Kayson Phomvihan and Souphanouvong, and generations of leaders and people of the two countries. They congratulated each other on the recent significant accomplishments in the two nations, especially after the two-year implementation of the Resolution of the 12th National Congress of the CPV, and the Resolution adopted by the 10th National Congress of the LPRP. They expressed a strong belief that under the leadership of the CPV and LPRP, the two countries will reap more successes in pursuit of prosperity and a bigger role on the world stage. 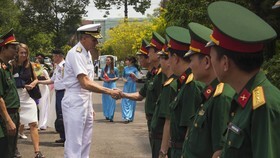 They were also delighted at the recent progress of relations between the two Parties and States in all areas, particularly the success of the Vietnam-Laos and Laos-Vietnam Friendship and Solidarity Year 2017 which has laid a foundation for the two sides to further tighten and enhance the traditional friendship, special solidarity and comprehensive cooperation. 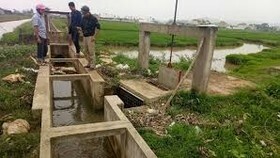 The two sides also discussed ways to effectively develop bilateral ties in all fields, contributing to the success of each Party’s policies and each country’s development strategies in the spirit of independence, self-reliance, and equal and mutually-beneficial cooperation for prosperity of each country, as well as for peace, stability, cooperation, and development in Southeast Asia and the world. 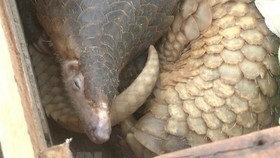 They agreed to continue working together closely to effectively implement agreements reached by the two nations’ leaders; step up cooperation in diplomacy, security, and defence; and maintain the regular exchange of high-ranking visits. 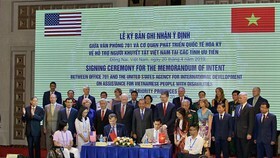 They also consented to foster education and awareness of special relations between Vietnam and Laos among their people, particularly younger generations. 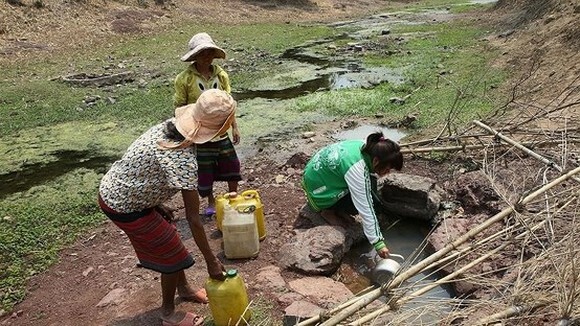 The Lao leader took the occasion to express his sympathy with the Vietnamese people on huge losses in humans and property caused by flash floods and landslides in the country’s northern provinces last month. CPV General Secretary Nguyen Phu Trong and his spouse hosted a banquet in honour of LPRP General Secretary and President of Laos Bounnhang Vorachith, his spouse and the Lao delegation. 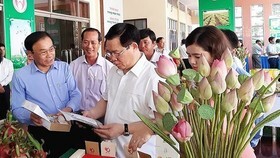 During their visit, the Lao leader and his spouse are scheduled to visit some economic and cultural establishments in the provinces of Thanh Hoa, Ninh Binh, and Phu Tho, as well as the High Command of Military Region 2.